Hugh Baird College acquired St Winefride’s Church in December 2014 with a vision to convert the former Catholic church into a training hub for its 200 health and social care students. One of three sites within the Hugh Baird campus, the college has just completed the refurbishment of the church into a teaching and social space and is currently transforming the former presbytery into a Life Rooms project, which will provide practical life skills and mental health support for the local community. 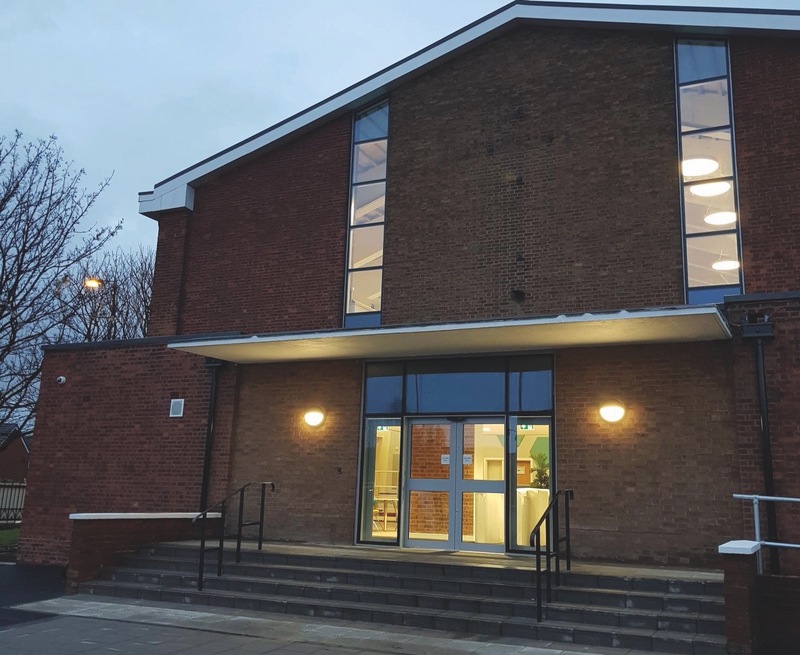 Funded by a £3.9m Local Growth Fund grant provided by the Liverpool City Region Combined Authority, the former church has undergone an extensive 35-week programme of refurbishment, construction and fit-out work, led by local contractor Crossfield Construction. The finished result is a unique educational facility comprising six teaching rooms, a state-of-the-art simulation ward, a mezzanine floor IT space and a café. 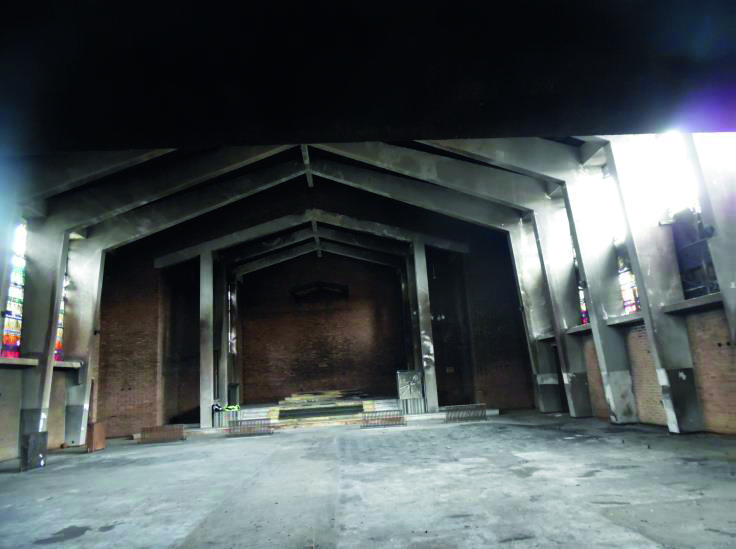 Preserving the building’s original features was integral to the brief for Hugh Baird College; however, the extent of the fire damage required plans to be changed as the original beam ceiling, stained-glass windows and parquet flooring could not be salvaged. Knowing the building’s significance to the community, the team at Crossfield Construction set about finding and preserving as many other original features as possible while the build was underway. Scott Sherwood, Crossfield’s construction director for the project, said: “The Hugh Baird team was clear about wanting to retain original features, so we sought to identify and preserve, with the client’s agreement, other interesting details throughout the build. The original spiral staircase to the choir stalls has also been retained as an architectural feature, although it can no longer be used. 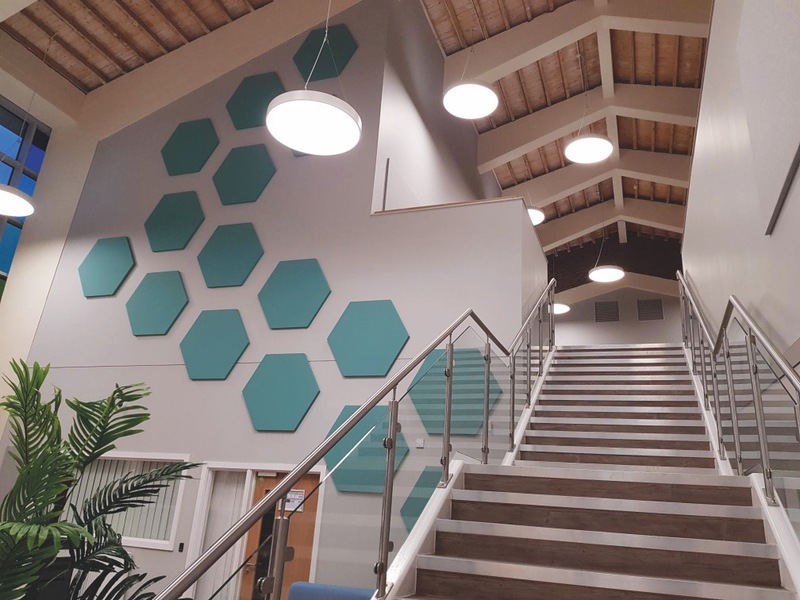 Some of the more modern additions include distinct hexagonal baffle boards to manage acoustics and provide visual interest and the use of specialist modern Vanseva glazing, which replicates the colours of the old stained glass and allows natural light to flood into the building. Student engagement was also important to the college and the student body was consulted on different aspects of the building’s finishes, including the furniture selection. Student engagement extended to involving students in the build process, too. With more than 90% of Crossfield Construction’s 30-strong workforce from the local area and three former students from the college, they understood the importance of creating opportunities for local learning. Work is now underway on phase two of St Winefride’s campus, which involves building the new Life Rooms community hub.